Social networking is making the world a far smaller place, bringing people together in ways never before possible. The â? ?average joeâ?? can now tweet to @SimonCowell to tell him either what a good, or bad job he is doing on his latest live reality karaoke show. There are those that may argue that it allows people to have less physical interaction with one another, but whether we like it or not there the number of sites is growing, with Facebook and Twitter already household names. There are certain practices however that can really get on userâ? ?s nerves. Here is a list of ten such gripes, in no particular order. Whether it be Facebook invites to an event that could be so irrelevant to you that youâ? ?re not even in the right continent to be able to attend, to a request to water some potatoes in Farmville. This can be immensely irritating if you are merely acquaintances with the person whom is sending the invite, but can be even more annoying from close friends who will know that you do not, nor will you ever want to water their virtual vegetables, or throw a virtual sheep back at them. The â??pokeâ?? is particularly annoying. I suppose then, that is exactly why they do it. 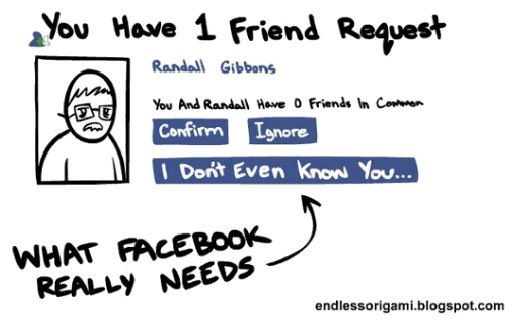 Now you may receive requests from people that you vaguely recognise from school or work. They send you an invite, but you do not really know them and so decide not to accept. Fair doâ??s. What is even worse though, is when someone who you used to know quite well, and then for whatever reason, you ended up falling out. You are not being petty, but you have no intention of speaking to them again, perhaps because you have realised that you really had nothing in common to begin with. Yet they send you and invite to become their â??friendâ??. You ignore it. They send it again. Just how many times does this awkward cycle have to go on before they get the message? Pun intended. Â The Twitter hashtag has almost become a status symbol. If you tweet, and hashtag, then you are cool. But are you really? Or are you just jumping on the latest craze bandwagon just like everybody else. When even celebrities are doing it, you know something has gotten out of hand, and perhaps Mr Zuckerberg should be worried. Social media sites are not without their uses. If your phone has run out of credit, it is a quick and more importantly free means by which to contact somebody. Should it be a matter of urgency however, then it is probably best to avoid using this method if its recipient has a bit of a reputation for being slow to reply. The whole point is that it is supposed to be instant messaging, which means a near instant reply is required, and as many people now have smart phones, there is little to no excuse not to make this happen. Perhaps similar to hashtags, if a story is breaking then it is possible that the first place that you will hear about it if you are not near a television or radio could well be Facebook. People love to share their opinions, but fail to realise that others really could not care less what they think. â??Txtâ?? speak is quick and a form of colloquial short-hand, but for some people it can be a real gripe. You would not speak to people using words with omitted and yet pretty vital vowels, so why write to them that way? There are those â??friendsâ?? who just love to constantly update their status and profile picture, and document absolutely every nanosecond of their narcissistic lives. These people are obsessed with keeping up to date, and keeping everyone else up to date on exactly what, where, who, why and how they are doing. Â It seems that all you need is a photograph and a name of the person that you are claiming to be, and you can create a virtual presence of them. Sometimes it can be hard to tell whether the account it genuine or not, because of course whoever has created it has the anonymity and protection of being able to hide behind a computer screen.Â New laws will surely have to be created as a result of this, as it is essentially identity fraud. Â Prospective employers now freely admit to completing stringent background checks on candidates…by looking them up on Facebook. There is little to no censorship on social networking sites with regards to what can be said, but some argue that there should be. Insults can be exchanged, people can be harassed, and just one drunken tweet could potentially cost you a friendship or a job. Tweet with caution. This is a guest post by Jessica on behalf of Chillisauce stag do.
. . . because to this day, almost a year on, there have been no replies . . .
Also had that friend who posted her status about removing some FB friends but nobody seemed to care. You posted most of what gets me annoyed when checking my twitter and facebook. Also I don’t understand why some of my facebook friends would use hashtags on facebook. Do they even know what hashtags are? Really annoying! Tell me about it. 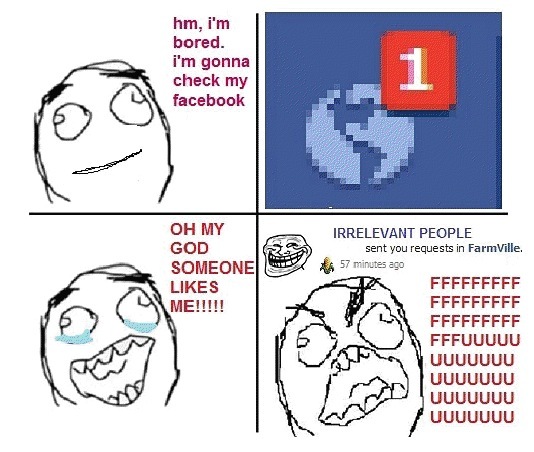 Google plus is the worst when it comes to this. Tracks all your locations via GPS. They know who you were with, where you were, when, and what you posted afterwards. Possibly what you bought or ate, and your mood.